After a fun-filled wintry day of playing in the snow, it’s time for a relaxing soak in a hot tub. Don’t have one? 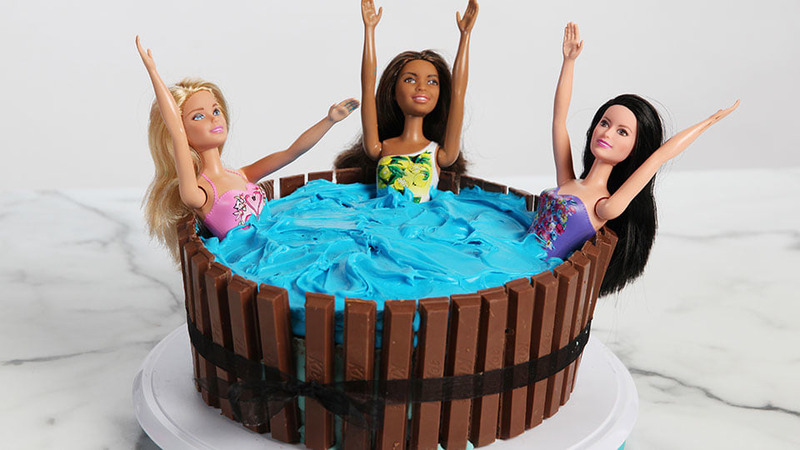 Make one of your own using cake and Kit Kat bars. True, you won’t fit into it — but your kids’ dolls will. Here’s how to create this humdinger. Don’t worry — it couldn’t be simpler and you can totally pull it off. Bake two round cakes following the directions on the box. 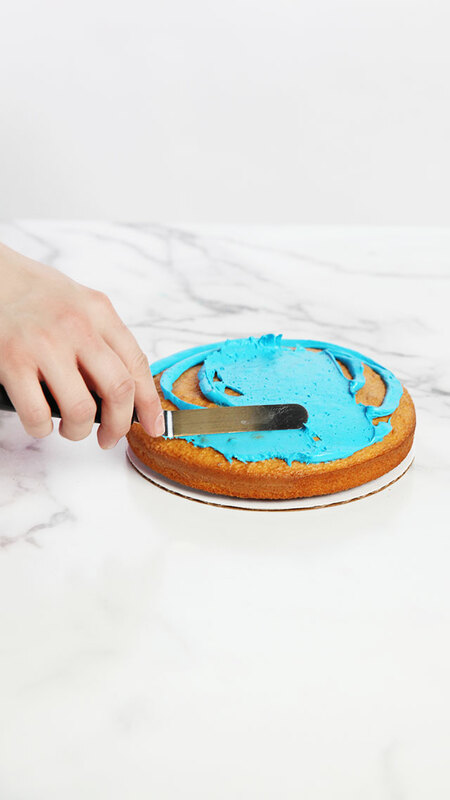 Once the cakes have been baked and cooled, you can start assembling. 1. 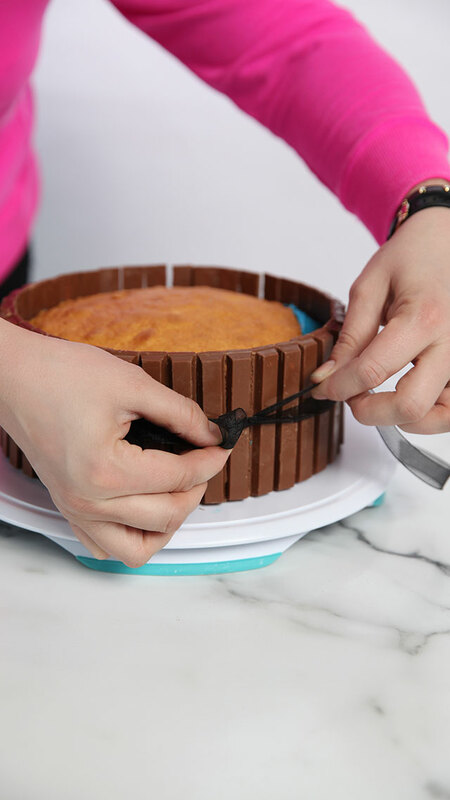 Place a dollop of frosting on your base, which can be a cake board or a cake stand. 2. 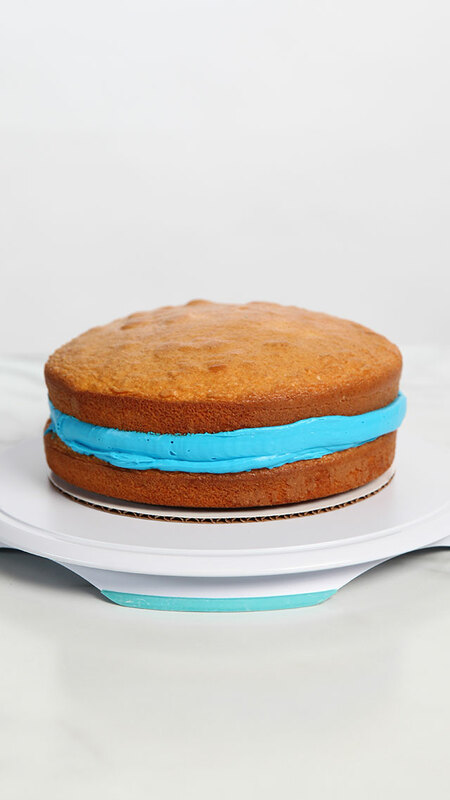 Place the first layer of cake on the base and frost the top. 3. 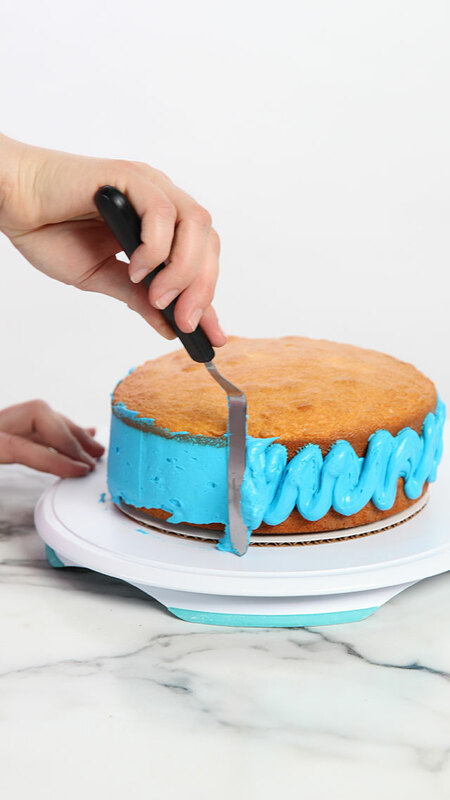 Place the second layer of cake on top of the frosted layer. 4. 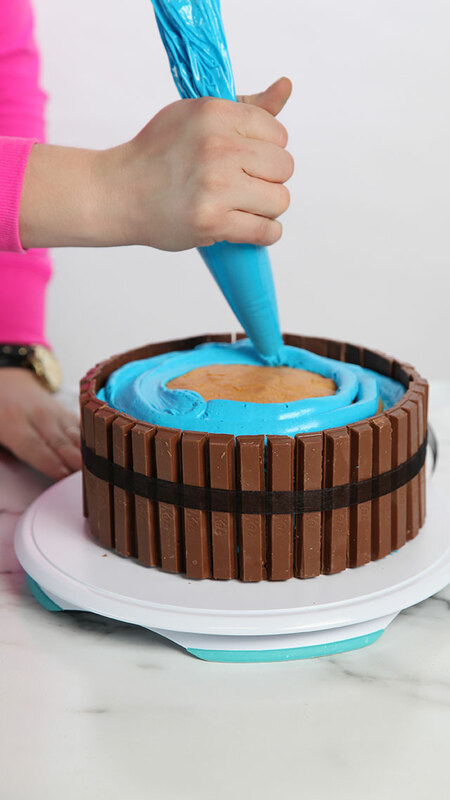 Frost the sides, making sure that there is enough frosting to hold the Kit Kats in place but not so much that it squishes out when the candies are placed. 5. 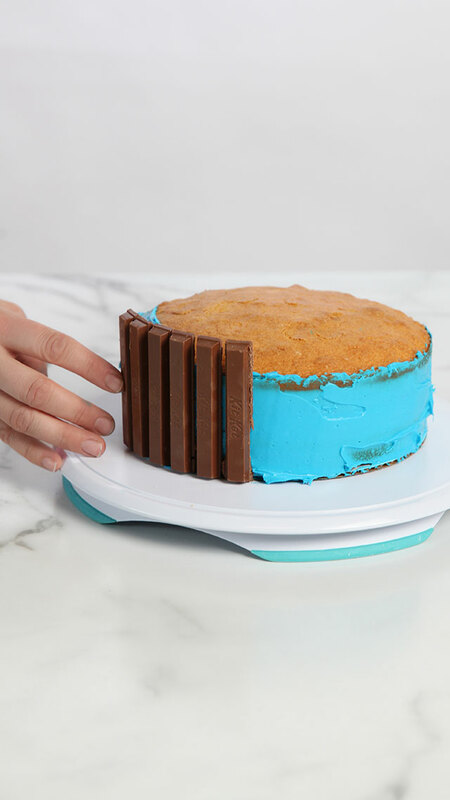 Place the Kit Kat bar segments around the cake vertically (like you’re building a fence). 6. Tie a ribbon around the Kit Kats to help keep them in place. 7. 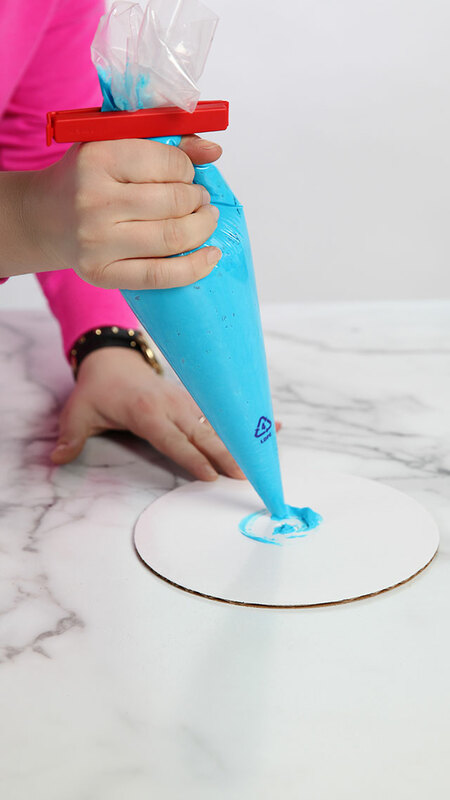 Using a piping bag, pipe frosting over the top of the cake. 7. 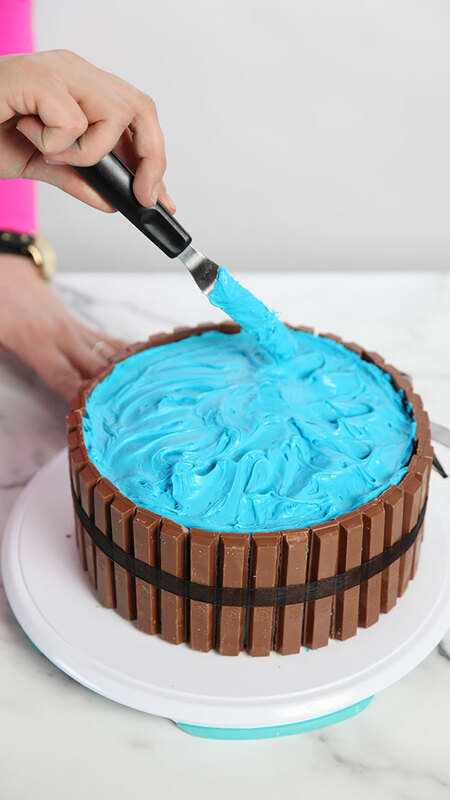 Using an offset spatula, spread the frosting roughly so it resembles water. 8. 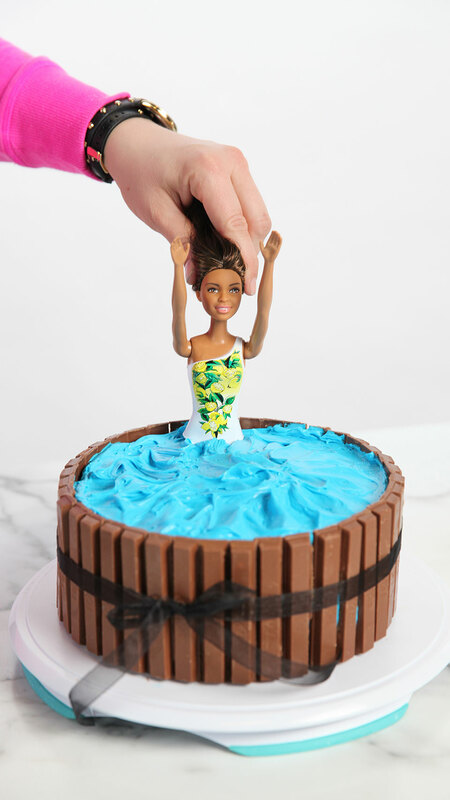 After removing the legs from the dolls, press them into the cake, taking care not to place them too close to the edge of the cake. 9. 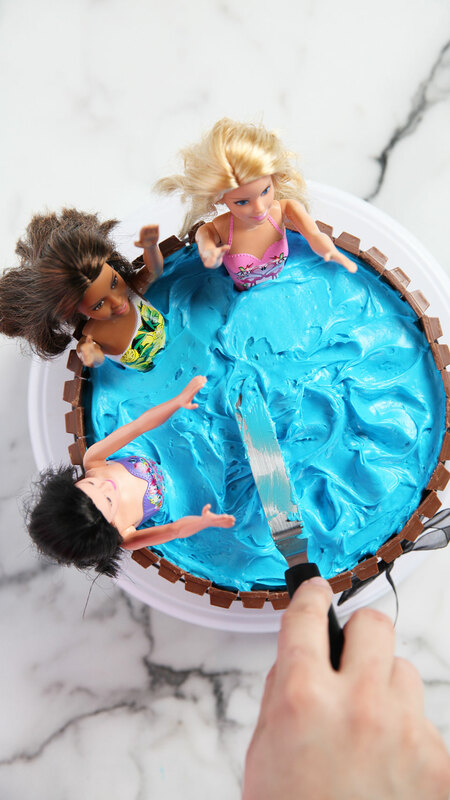 Use the offset spatula to fix the frosting around the dolls. Watch the video to learn more about this cake.